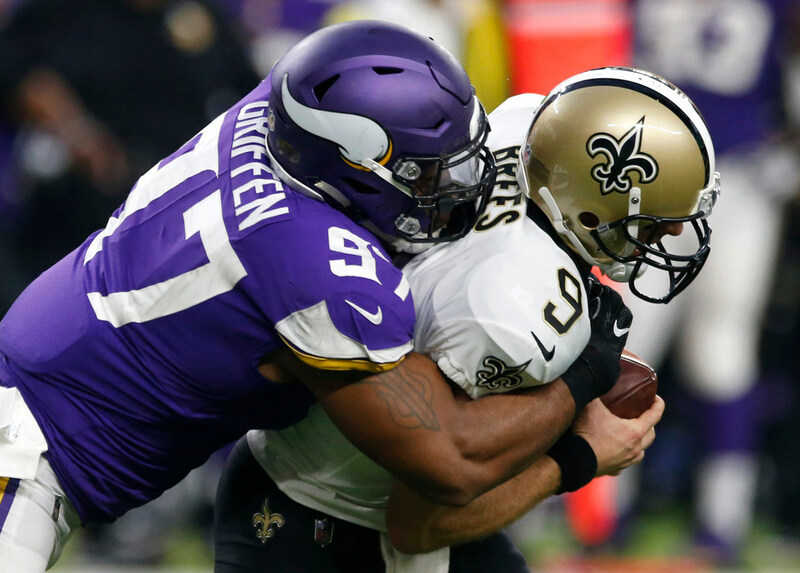 Vikings defensive end Everson Griffen, who hasn’t practiced since Saturday’s game in Denver, should be back soon after dealing with an odd off-field injury. Sources said Griffen hasn’t been practicing this week because he cut his leg on the end of a table and the cut got infected. Coach Mike Zimmer wouldn’t discuss the specifics of Griffen’s injury on Tuesday, but said the defensive end was close to a return, and sources added it’s possible Griffen could play on Saturday against Jacksonville. The offbeat injury is the latest on Griffen’s recent list of ailments; he tore the plantar fascia in his left foot last October against Cleveland, and missed much of the Vikings’ offseason program while taking time to rest a minor knee injury.